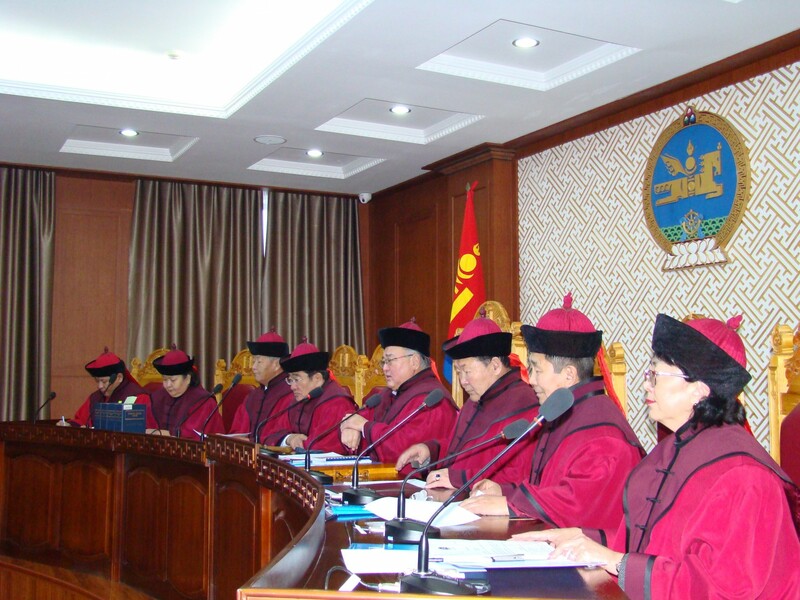 The objective of examining and resolving disputes by the Constitutional Court /Tsets/ of Mongolia is to guarantee strict adherence to the Constitution through resolution of disputes upon complete, accurate and objective examination of all claims concerning a breach of the Constitution. Legislation regulating examination and resolution of disputes by the Constitutional Tsets /hereinafter referred to as the “Tsets”/ of Mongolia shall consist of the Constitution, the Law on the Constitutional Tsets, this Law and other legislation enacted in conformity with the above laws. Examination and dispute resolution shall be conducted by the Members of Tsets, appointed in accordance with the rules determined by law. The Constitutional Tsets shall have a small bench consisting of 3, a medium bench of 5, and a full bench of 7-9 members as composition to examine and deliver the Constitutional Tsets decisions on constitutional disputes. Complaints concerning a decision of a Member of Tsets on initiating/not initiating proceedings based on petitions, informations and requests addressed to the Tsets shall be considered by a session of a 3-member bench; first decision on all issues examined for dispute resolution by a Tsets session shall be delivered by a 5-member bench; a full bench or in case of justified inability of some members to attend the session, a no less than 7-member bench shall discuss and deliver final decision on reconsidered cases of Tsets judgments rejected by the State Great Hural, or new circumstances arising on a previously settled dispute or judgments petitioned by the majority of members of Tsets for reconsideration and final decision. A full bench of 7-9 members of the Tsets shall examine and deliver a decision on the substance of breach of the Constitution and existence of grounds for resignation or recall an official specified in Article 13, Section 2 and 3 of this Law. Issues under consideration shall be decided by a majority vote of the members sitting in the session. Members in the minority vote on a given issue are entitled to petition for a revote providing justification and grounds. In the case the revote reverses the majority into minority and a request for revote is put forward there shall be a third voting, and the resolution shall contain the opinion which gained the majority vote twice. A judgment of the Tsets under reconsideration shall be decided by a two-third majority vote of members sitting in the session. If the two-third majority vote is not achieved the contested provision of a law, resolution, decree or other decisions, an international treaty of Mongolia shall remain in force. A member with a dissenting opinion shall be entitled to attach a written opinion to the minutes of the deliberation. The dispute resolution process of Tsets shall be open and transparent. Except for exceptional circumstances requiring protection and confidentiality of the state, business/commercial information and privacy or safety of a citizen, the Tsets shall conduct open sessions. Participants of an open session of the Tsets shall be allowed to make notes, tape recording, radio and TV live broadcasting, cinematic, photographic and video recording. The explanations, conclusions, proposals, requests, and arguments of the disputing parties shall be heard orally and documents and materials required for delivering a decision and those requested by the parties shall all be read out loud. Proceedings of dispute resolution at the Tsets shall be conducted in the Mongolian language. If a disputing party does not possess a good command of the Mongolian language, the Tsets shall provide an opportunity to speak and understand in the native language or any preferred foreign language through an interpreter. 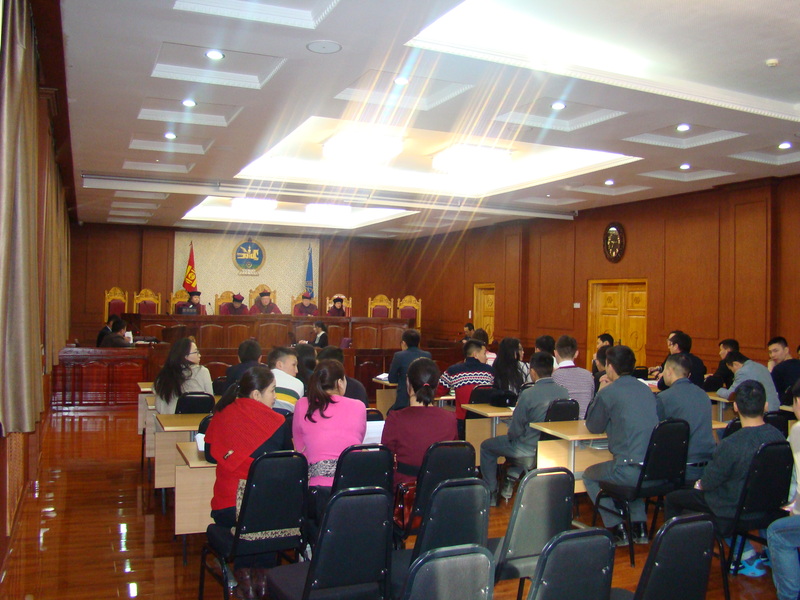 If witnesses, experts, and other specialists attending a session do not possess a good command of the Mongolian language they shall be granted the right to give their testimony, statement, conclusion or explanation in the native language or other preferred foreign language through use of services of an interpreter. Minutes of a session of the Tsets, and all other documents shall be written in the Mongolian language and all foreign language documents shall be translated into the Mongolian language. A session examining and resolving disputes from their beginning to the end shall be conducted in the physical presence by the same composition of members appointed in accordance with the rules determined by law. Nobody shall be entitled to remove a member appointed to the composition of the Tsets to examine and resolve a dispute from proceedings of examining and resolving disputes for the reasons other than justification and rules determined by law. If a member appointed to the composition of the Tsets to examine and resolve a dispute is unable to continue due to a justified reason, the Tsets shall appoint another member of the Tsets and conduct the dispute resolution process newly from the start. A session, as well as a deliberation of the Tsets shall be held continuously, with the exception of the time allocated for holidays as provided for in law. A session of the Tsets may be adjourned only in cases such as necessity to call a witness, to appoint an expert, to collect new evidences, to appoint a new member of the Tsets to replace a member, who has become unable to continue working at the session. It is prohibited to conduct examination of other disputes during the adjournment of a Tsets session. If there arises a circumstance, which impedes the examination of a dispute at a given session, the session shall be deferred for a reasonable time necessary to eliminate the circumstance. A session of the Tsets adjourned for the purpose of replacing a member of the composition, it shall recommence from the start. Replacement of other participants shall not prevent the composition to continue the session from the moment the circumstance impeding the normal course of the session has been eliminated. Disputing parties, their authorized representatives, and advocates shall exercise their right to contest by questioning and receiving answers from one another on the subject of the dispute, mutually contend the evidence serving the grounds thereof, present facts and proofs to this effect as determined by appropriate rules. The Tsets shall provide the disputing parties with the opportunity of free contestation. Deliberation of the members on making decisions of the Tsets shall be held in a designated room. Persons other than the members reviewing a dispute in a session and the secretary assigned to take notes of the deliberation shall be prohibited to enter the room in which the deliberation is being held. It is prohibited to disclose opinion of members given in the deliberation room. A decision of the Tsets shall be delivered in the name of the Constitution of Mongolia. A decision of the Tsets shall be accepted as lawful when it is fully compliant with the letter and spirit of the relevant provision of the Constitution, the Law on Constitutional Tsets, and this Law. The Tsets, and a member of the Tsets, may use as guidance provisions of other laws compliant with the provisions of the Constitution, and the Law on the Constitutional Tsets. A decision of the Tsets shall be accepted as fully justified when all significant circumstances of a disputed matter are examined at the session comprehensively, completely and objectively and the conclusion is sufficiently supported by all evidence. A final decision of the Tsets shall enter into force upon its issuance. A member of the Tsets shall, in examining a constitutional dispute, be independent from any organization, public officials, and other citizens and be governed solely by the Constitution, and his /her own commitment. A member of the Tsets shall not represent anyone in carrying out his/her official duty. Public officials, citizens or any other entity are prohibited from interfering, pressuring or influencing in any form upon a member of the Tsets, while he/she exercises the duty of examining a constitutional dispute. A member of the Tsets shall not be permitted to express his/her opinion in advance on disputes under examination or make recommendations to others in this respect. 1/ law and other decisions of the State Great Hural; 2/ decrees and other decisions of the President of Mongolia; 3/ decisions of the government; 4/ international treaties to which Mongolia is a signatory party; 5/ decisions of the Central electoral body on referendums, and elections of the State Great Hural, its members, and the President. 1/ the President of Mongolia; 2/ the Chairman of the State Great Hural; 3/ a member of the State Great Hural; 4/ the Prime Minister; 5/ a member of the Government; 6/ the Chief Justice of the Supreme Court; 7/ the Prosecutor General. 1/ the President of Mongolia; 2/ the Chairman of the State Great Hural; 3/ the Prime Minister; 4/ a Member of the State Great Hural. If claims filed to the Tsets contain claims within jurisdictions of other courts and authorities, the Tsets shall make a judgment on the claim within its jurisdiction and refrain from resolving claims or parts of claims outside its jurisdiction. This shall not constitute an obstacle to action on claims or parts of claims by relevant courts and authorities. In the event of submission of complaints by citizens, public officials, governmental and non-governmental organizations to the Constitutional Tsets for determination of jurisdiction of legal disputes, rejected by all courts, the Tsets shall determine jurisdiction of legal disputes and refer to the relevant court. The Tsets shall exercise supreme supervision over the implementation of the Constitution and deliver decision on disputes regarding non-compliance and breach of the Constitution. The Tsets shall not deliver a decision under its jurisdiction on disputes concerning non-compliance and breach of laws other than the Constitution. The Tsets shall institute proceedings of examining and resolving disputes only on the basis of petitions, notification and requests. If a relevant authority or a public official restores directly or in effect provisions of laws and other decisions invalidated by a decision of the Tsets, the Tsets may examine and resolve through a compliance review initiated by a member of the Tsets. The Tsets shall examine and deliver decision on disputes concerning the constitutionality of the legislation adopted and actions of officials occurring after the 12 February of 1992, the day the Constitution entered into force. Citizens shall be entitled to submit a petition and information concerning breach of the Constitution; President, State Great Hural, Prime Minister, Supreme Court, and the Prosecutor General shall be entitled to submit requests regarding existence of substance of breach of the Constitution. Apart from citizens of Mongolia, foreign citizens and stateless persons residing lawfully in the territory of Mongolia shall enjoy the right to submit petitions and information to the Tsets. authorized representatives and advocates eligible due to their official position or appointed in accordance with the appropriate rules. Authorized representatives to participate in proceedings of the Tsets shall be appointed in accordance with the rules stipulated in the provisions of the Civil Code Procedure Law. The participants in the proceedings of the Tsets shall enjoy equal rights within their respective competence. The disputing parties shall have the right to review the materials of the dispute under examination, obtain copies of related documents, take notes, to present evidence, to participate in the examination of evidence, submit their proposals and conclusions on all issues emerging during the proceedings, freely contest in the session, deliver a closing speech, if deemed necessary, and make requests. The participating parties shall have a right to object a Tsets composition and request removal from the composition on the grounds specified in the law. The originators of a submitted petition, information, or a request to the Tsets shall have a right to modify arguments and basis of their claim, reduce or extend the dimension of the claim and withdraw in whole or partly at any stage of the proceedings before adjournment for final deliberation. The participating parties shall be responsible to provide material proofs of the evidence and justification of arguments of their claim and objections to the counter claims and circumstance. The participant in the process of examining and resolving disputes of the Tsets shall strictly adhere to the procedures of the Tsets session and be ruled by the judge chairing the session. If a participant repeatedly violates the rules of the session, or presents false documents to the Tsets and its members, his/her actions shall be considered as a disrespect to the Tsets and shall be subject to liability as stipulated in an appropriate law. The expenses on witnesses, experts, specialists and interpreters participating in the process of examining and resolving disputes of the Tsets and other necessary expenses shall be defrayed by the state budget. 1) organizations and officials responsible for adoption of the laws, decrees, and other decisions in breach of the Constitution and/or official, who breached the Constitution if the petition or notification have been determined as justifiable. 2) the citizen if the petition or information is determined as unjustified. 8/ enclosed documents, list of relevant persons and current addresses. Necessary documents include a power of attorney in the case of originators of a petition, information, or a request to be represented by an authorized representative in the process of examining and resolving disputes, as well as translations of enclosed documents written in a language other than the Mongolian language. The Tsets shall not accept anonymous petitions, information, and requests. Petitions, notifications, and requests submitted by citizens, organizations, and officials to the Tsets shall be distributed for examination to its member by the Chairman of the Tsets. The member who received petitions and information concerning a breach of the Constitution from citizens shall carry out the initial examination within 14 days and deliver a decision on initiating a process on his/her own initiative. The member of the Tsets, who received requests from authorized organizations and officials, shall initiate a dispute resolution process immediately upon their receipt. Complaints against a decision of a member of the Tsets on initiating/not initiating a process of examining and resolving disputes by the Tsets raised by disputing parties or proposed by a member of the Tsets, in writing, shall be considered by a session of a 3-member bench appointed by the Resolution of the Chairman of the Tsets, to deliver a decision and certification of decision on the eligibility of the matter for initiating a process of examining and resolving disputes. Exclusion of a member of the Tsets from the process of examining and resolving disputes shall be prohibited on the grounds other than those described in this Law. A member of the Tsets shall disclose existence of grounds described in Section 2 of this Article and withdraw from the process of examining and resolving disputes. The issue of withdrawal of a member of the Tsets from the process of examining and resolving disputes shall be considered at a closed session of the Tsets and the decision shall be documented. If a member of the Tsets, who examined the dispute, withdraws from the process, the Tsets shall recommence the process of examining and resolving disputes from the start. If the participation of other members of the Tsets in a session rejected, the session shall be recommenced from the start. 9/ issue a resolution on withdrawal of the process of examining and resolving disputes if the disputing parties arrive to a mutual understanding resulting in a voluntary withdrawal of the petition, notification and request by the originator. The preparation for the session shall be carried out within 30 days from the start of the process of examining and resolving disputes and, if complexity of the dispute requires, the Chairman of the Tsets may grant of an extension period of up to 30 days. The preparation for examining and resolving a dispute related to the declaration of a state of emergency, war or move of military force shall be completed within 3 days. The Chairman of the Tsets shall be entitled to appoint two or more members by a resolution for the preparation of a session to review the issues of special challenge and immediate settlement. Organizations, public officials and citizens shall be responsible for presenting documents demanded by the member of the Tsets in a timely manner. Upon completion of the preparatory stage of examination of a dispute, the member of the Tsets shall issue a resolution for transferring a dispute for consideration by a session of the Tsets. The session of the Tsets shall be open. Matters concerning military defense or national security, information of the state, private entities and individuals protected by law shall be considered at a closed session and notice shall be made in the resolution for transferring a dispute to the session of the Tsets. A member of the Tsets shall set and announce with the counsel of the Chairman of the Tsets the time, date, and venue of the session, open or closed session status in the major national media 7 days prior to the session, except the cases stipulated in Section 3 of Article 23 of this Law. The disputing parties, witnesses, experts and other participants shall be formally notified of the date, time and venue of the session. A session of the Tsets shall be held in a hall where the State emblem and flag are honorably placed. Participants in the session shall rise to honor members of the Tsets entering a session. Members of Tsets shall wear the official gown of the Constitutional Tsets. The session shall be held by a composition consisting of a presiding member and members appointed by the resolution of the Chairman of the Tsets. At the start of a session, the secretary shall report on the attendance of the disputing parties, witnesses, analysts, experts and translators. The member presiding the session shall open it and announce the issues to be considered. The member presiding the session shall explain the rights, duties, responsibilities of the disputing parties. The member presiding the session shall introduce the composition of the Tsets to resolve the dispute. The member presiding the session shall inquire and resolve proposals by the disputing parties regarding participation of witnesses, appoint of experts, presenting of new evidences, and withdrawal of a member from the composition of the session should this be requested. If it is deemed necessary by the member presiding the session, he/she may request a witness to vacate the session premises. The member presiding the session shall explain the order and rules of the Tsets session, and remind the disputing parties and the audience of their duty to abide by. The reasons for absence of the disputing party, witness, expert and/or translators shall be clarified. A session of the Tsets shall not be postponed, if a formal notification of the date, time and venue of the session has been delivered and an absentee has not filed a written statement explaining reasonable grounds for absenteeism or has filed a written statement formally consenting to resolution of the dispute in his/her absence. A session of the Tsets shall be postponed, if a disputing party is unable to attend due to reasonable grounds and has formally stated his/her will to be present in person in the dispute resolution. Decision to adjourn a session shall be recorded a written form, which shall contain the date, time and venue of the next session or decision to announce if these arrangements are not made at the time of postponement. In case of the absence of a witness, expert or interpreter, the issue shall be discussed and resolved as such cases arise. The process of consideration of a dispute for resolution shall commence with a report presented by the member of Tsets responsible for the preparatory analysis of the dispute. In the report, the member of the Tsets shall present the substance of the dispute and related proof of evidence without imparting his/her own judgment and recommendations. After hearing of the member's report the disputing parties shall present additional explanation, if any, starting from the party which submitted the petition, request, or notification. The session shall hear the witness testimony and conclusions made by experts and analysts and the order of hearing shall be determined by the member presiding the session given the specifics of each dispute. The disputing parties shall litigate at the session and the member chairing the session shall determine the order of litigation. Any member of the Tsets composition, with the permission of the member presiding the session, shall have the right to question and receive answers from any participant at any stage of the session. Upon completion of the process of examining evidence, litigation, cross-examination and hearing witness testimony of the disputing parties the session shall hear proposals and closing speeches by the disputing parties. The Tsets session shall deliver and document in a written record a decision to separate or merge the subject of disputes during the process of the session of the Tsets. The Tsets shall deliberate and deliver a decision in a room for consultation. One of the members participating in the session shall write down the decision. Members of the Tsets present in the consultation and participating in the session shall exercise equal rights in the resolution of a dispute and shall enjoy the right to freely express and explain their opinions and positions. Members participating in a session of the Tsets shall deliberate on the final decision at a closed session held in the room for consultation. The member, who presented the opening report, shall present his/her judgments and recommendations first followed by presentation of judgments and recommendations in seniority order beginning with the most senior member, and the chairperson shall be the last one to impart his/her judgment. A member participating in a dispute resolution session of the Tsets shall impart his/her recommendation for the decision in the room for consultation. A final decision delivered in the room for consultation shall be signed by the member presiding the session and each participating member, and the presiding member or a participating member appointed by the member presiding the session shall read out the decision to the audience. If the votes of participating members divide, or additional investigation on the dispute is needed, the Tsets shall deliver and document a decision to adjourn the session and resume for resolution of the dispute within the next 30 days. The Chairman of the Tsets shall issue a resolution to reconsider a dispute. The procedure of resolving a dispute stipulated in this Law shall rule the process of reconsideration of a dispute. A member of the Tsets, who examined the dispute in the previous round, shall not re-examine it. Decisions of the Tsets shall be delivered in the form of a judgment, resolution or certification. The Tsets shall issue a judgment on the disputes described in Section 1, 2, 3, of Article 13 of this Law; a resolution on a reconsidered dispute described in Section 1 of the same article; and a certification on disputes described in Section 4 of Article 21 of this Law and on disputes resolved by the medium and full bench sessions. The Tsets shall deliver a decision to fully repudiate or qualify claims of a petition, information and request or repudiate parts of a claim. The decision shall be based on facts and evidence proved in the process of a session. A decision of a session of the Tsets shall be adopted by a majority vote of the members participating in the session; the resolution delivering a decision of a reconsidered dispute shall be adopted by the 2/3 vote of the members participating in the session. The decision of the Tsets shall be read out immediately upon its adoption. 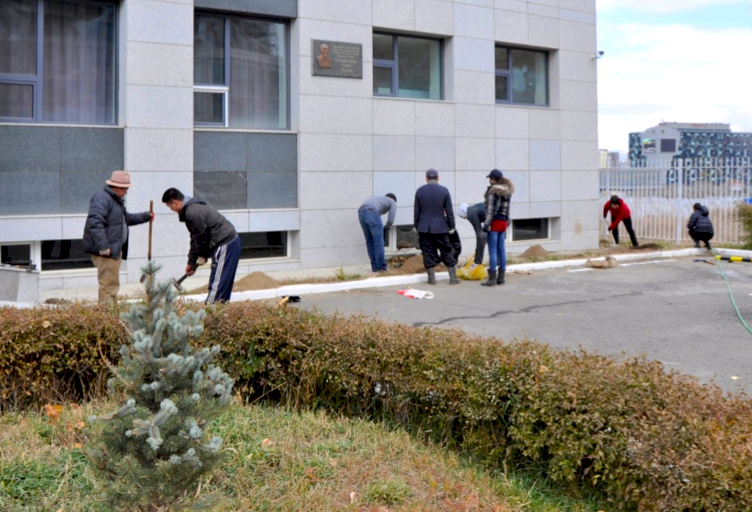 Upon delivery by the Tsets of a judgment constitutionally invalidating a law, decree, other decisions of the State Great Hural, international treaties of Mongolia and related articles, these shall be suspended and remain suspended until a final decision is delivered. The Tsets shall determine separately the effective date of such suspension. The brief contents of the decision of the Tsets shall be announced to the public immediately upon delivery through media. Content of sections of decisions delivered at closed sessions shall be announced to the public. The full text of decisions delivered by open sessions of the Tsets shall be published in the "State Information" magazine. Every word of the process of a dispute resolution session of the Tsets shall be recorded throughout its duration. The secretary shall take notes of the consultation separately. These notes shall be filed as classified information of the organization. Technical equipment shall be applied to record the total process of the session and the notes shall be completed and filed with the case records within one week. The member presiding the session and the secretary shall sign the notes of the session. The decision of the Tsets shall be delivered to the State Great Hural, President, Government, Ministry of Justice, the disputing parties and the “State Information" magazine. The State Great Hural shall settle a judgment of the Tsets within 15 days upon its receipt, if a judgment is delivered during the parliamentary recess and is not a matter related to declaration of a status of emergency or war, the State Great Hural shall act upon it within 15 days from the start of its next session in accordance with the Article 27 of the Law on the Rules of the State Great Hural Session. If the decision of the Tsets is rejected by the State Great Hural, the Tsets shall reconsider the entire dispute from the start by a full bench composition. If the grounds for rejection by the State Great Hural are confirmed, the Tsets shall deliver a resolution annulling its judgment and shall issue a resolution annulling the resolution of the State Great Hural if the grounds for rejection are not confirmed by its full bench session. A law pronounced unconstitutional by the final decision of the Tsets shall be invalided upon the issuance of its resolution.